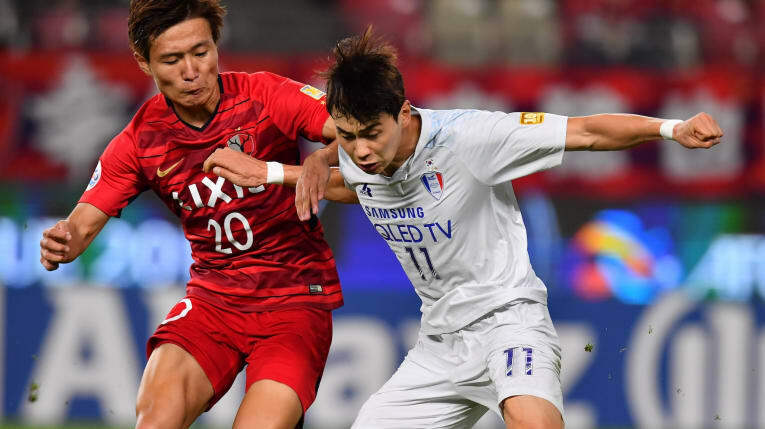 October 3 – Kashima Antlers and Iranian giants Persepolis moved one step closer to an AFC Champions League title showdown after both sides earned narrow victories in the first leg of their respective semi-finals. In Japan, Kashima were forced to dig deep by South Korea’s Suwon Samsung Bluewings, as they recovered from being two goals down to earn a sensational 3-2 win on Wednesday. In a lively opening at the Kashima Soccer Stadium, former Schalke favourite Atsuto Uchida found his own net to hand Suwon a second minute lead, before visiting striker Dejan Damjanovic doubled the Korean side’s advantage with a drilled effort just four minutes later. The Montenegrin’s strike took his tally in Asia’s premier club competition to an impressive 35, just one behind record goalscorer Lee Dong-gook. Kashima responded thanks to Jang Ho-ik’s own goal on 21 minutes but try as they may, Go Oiwa charges were unable to restore parity going into the break. With chances few and far between in the second half, Kashima eventually drew level courtesy of Serginho’s 84th minute finish at the far post, before Uchida atoned for his earlier error by bundling home the winner deep into stoppage time. The tie’s second leg is scheduled to be played on October 24 at the Suwon World Cup Stadium. Persepolis, meanwhile, are also in the driving seat following a narrow 1-0 win away at Qatari outfit Al Sadd on Tuesday. The Iranians, who are featuring in the club’s second successive AFC Champions League semi-final, were rarely troubled by their hosts and eventually claimed the spoils when livewire forward Ali Alipour picked himself up after being upended by Al Sadd goalkeeper Saad Al Sheeb to convert an 86th minute penalty. Persepolis will now entertain 2011 champions Al Sadd, who have one-time Barcelona star Xavi in their ranks, at the imposing Azadi Stadium in Tehran on October 23.